Dim the lights, flash up the Lucas Film logo, and even before the title and scroll hit the screen, I’m in. Double sunsets? I’m a kid again. But there were heroes aplenty who stepped up. Paige Tico, for example, is a true hero. What an opening sequence! She is the Jyn Erso of The Last Jedi, sacrificing herself to destroy the fearsome weapon, the Dreadnaught. And, her sacrifice gives her sister Rose a great backstory and gives a role and screen time to a kind of nobody (or another nobody). 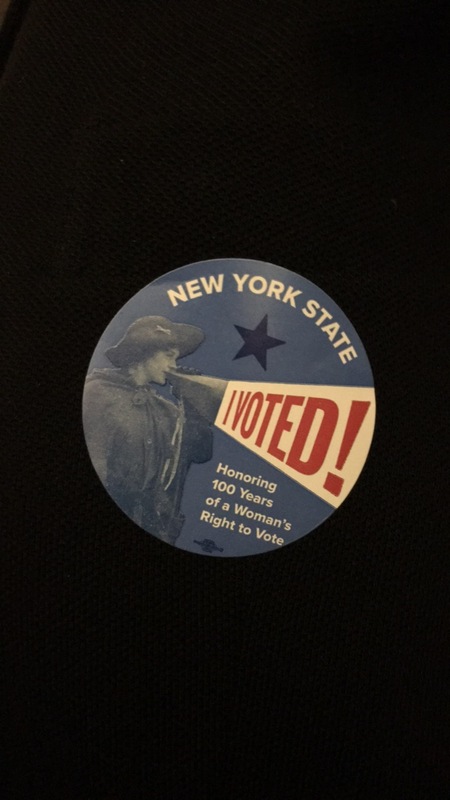 Election Day is today and I voted!